“The Limitless Perspective of Master Peek, or, the Luminescence of Debauchery” by Catherynne M. Valente from BCS #200 is a finalist for the 2017 Eugie Foster Memorial Award! The award honors the late Eugie Foster, editor and Nebula-winning short fiction writer. 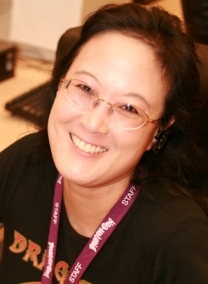 Other finalists include BCS author Suzanne Palmer (“Moogh and the Great Trench Kraken” in BCS #181 and podcast BCS 158). BCS a 2017 Hugo Award Finalist! The 2017 Hugo Award nominees were announced yesterday, and BCS is again a finalist for Best Semiprozine! Thanks very much to all who found us worthy! We are honored to be a Hugo finalist for the fifth time, in our ninth year and as we near our 500th story, because this honor is for the whole magazine; all our authors and fiction. Thank you very much to everyone who helped this year keep BCS what it has become, especially Editorial Assistants Nicole Lavigne and Kerstin Hall, all our authors and artists, our guest podcast narrators, our ebook subscribers, and every one of our readers and fans. “The Night Bazaar for Women Becoming Reptiles” by Rachael K. Jones, from BCS #203 and podcast BCS 180, was one of nine works named to the Honor List for the James Tiptree, Jr. Literary Award. 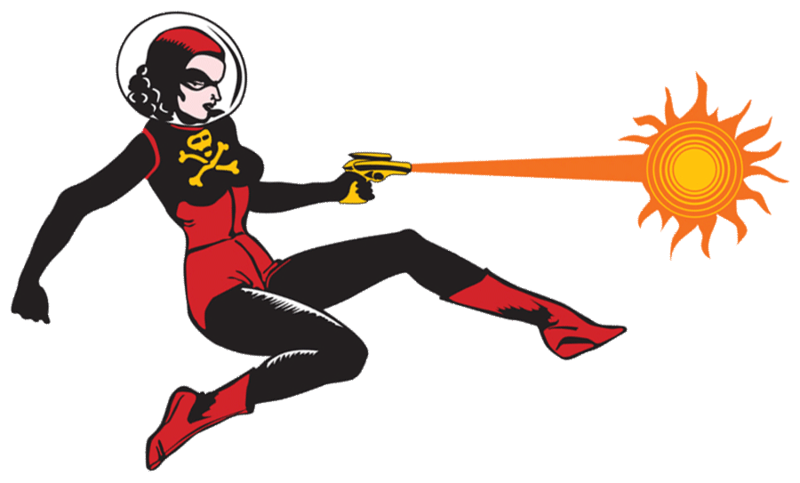 The Tiptree Award, named after the legendary author, recognizes works encouraging the exploration and expansion of gender. Last year, two BCS stories were named to the Tiptree long list: “Everything Beneath You” by Bonnie Jo Stufflebeam from BCS #164 and podcast BCS 142, and “Grandmother-nai-Leylit’s Cloth of Winds” by Rose Lemberg, from BCS #175. BCS authors with other work recognized by the Tiptree Award this year include Mishell Baker (“Fire in the Haze” in BCS #203 and its prequel “Throwing Stones” in BCS #47), with her novel Borderline named to the Honor List. 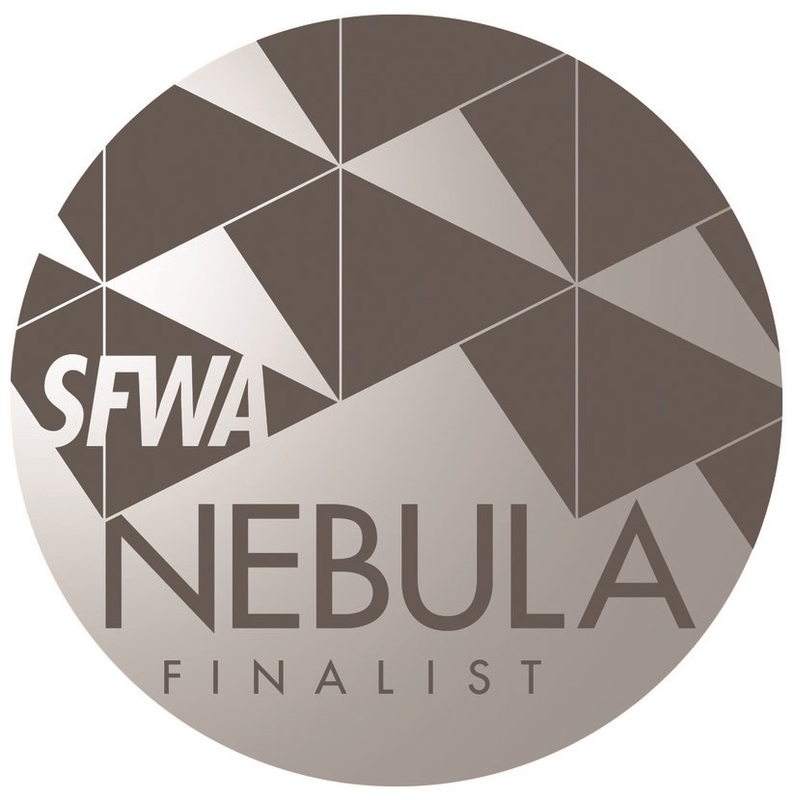 Two novelettes from BCS have been named finalists for the Nebula Awards! “Blood Grains Speak Through Memories” by Jason Sanford, from BCS #195 in Science-Fantasy Month 3, and “The Orangery” by Bonnie Jo Stufflebeam, in BCS #214. Congratulations, Jason and Bonnie! “Blood Grains Speak Through Memories” is a story of family, duty, and loss, both personal and world, in a cool science-fantasy setting with technology and magic. “The Orangery” uses a more mythic conceit to examine duty, relationship dynamics, and loss. Both great novelettes, and indicative of the breadth you’ll find in BCS: anything from science-fantasy to epic fantasy to steampunk, historical paranormal, Weird West, and unique mythic secondary worlds, all with a focus on the characters. Several works from BCS made the 2016 Recommended Reading List from Locus magazine, the top review source in the field, as compiled by their veteran team of short fiction reviewers including Jonathan Strahan, Gardner Dozois, Rich Horton, Rachel Swirsky, and many others. 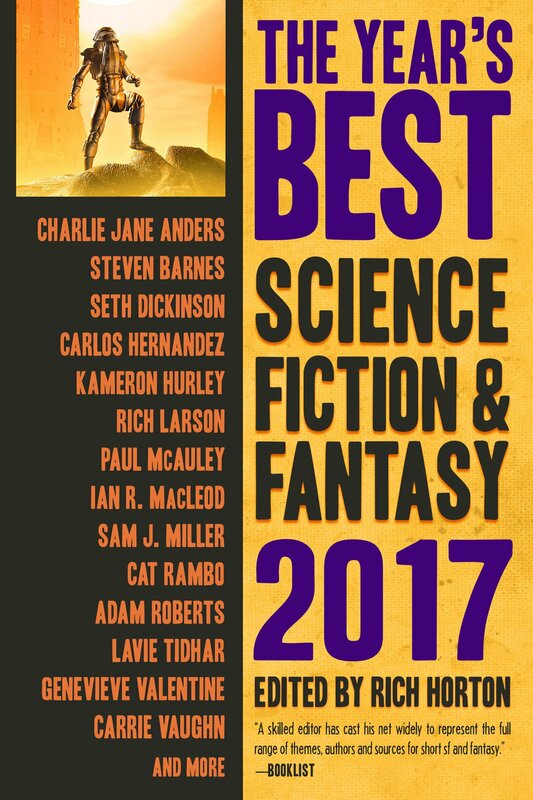 A number of BCS stories from 2016 have been honored with selection for the top year’s-best anthologies in F/SF short fiction! Congratulations, all! Especially Seth and Aliette, for their stories being selected twice! Several dozen BCS stories from 2016 made the 2016 Recommended Reading List at Tangent Online, the long-running F/SF short fiction review site: thirty-two BCS stories and novelettes total, over the array of tiers on their list. BCS won the 2016 British Fantasy Award for Best magazine/ periodical! Thank you! The BFAs are presented annually by the British Fantasy Society; finalists are voted by BFS members and attendees of FantasyCon, and winners named by a jury. The announcement and presentation were made at FantasyCon 2016 in Scarborough, North Yorkshire, on the North Sea coast. Past winners for Best magazine/ periodical include Clarkesworld; great company for BCS to be in. Thank you for this recognition!